This is an original production background from the Fox Studios production of the first season Simpsons episode, Krusty Gets Busted. 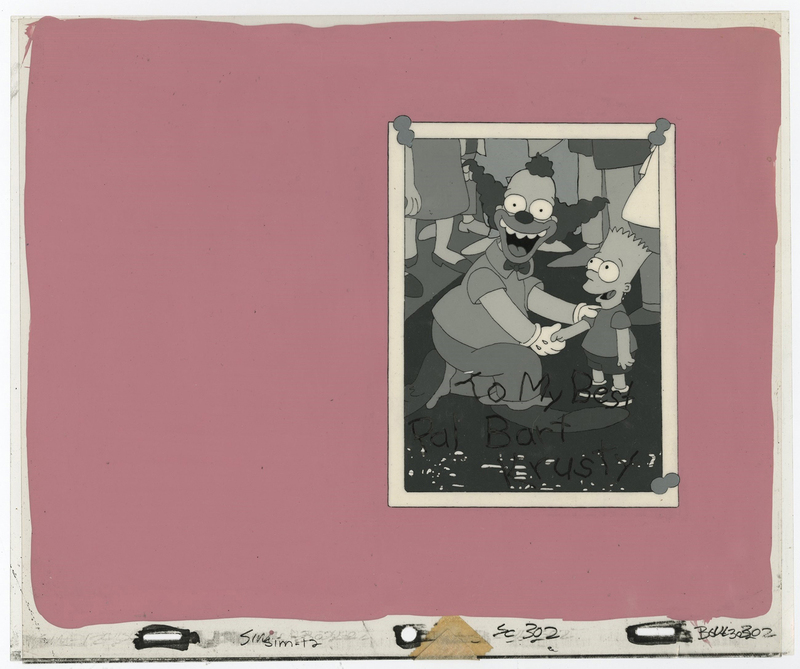 This background features Bart Simpson and Krusty the Clown and was created at the studio and used during the production of the film. The overall measurements of the piece are 10.5" x 12.5" and the image itself measures 9.5" x 11". The entire image is hand painted, and was used as the cel background for the scene. 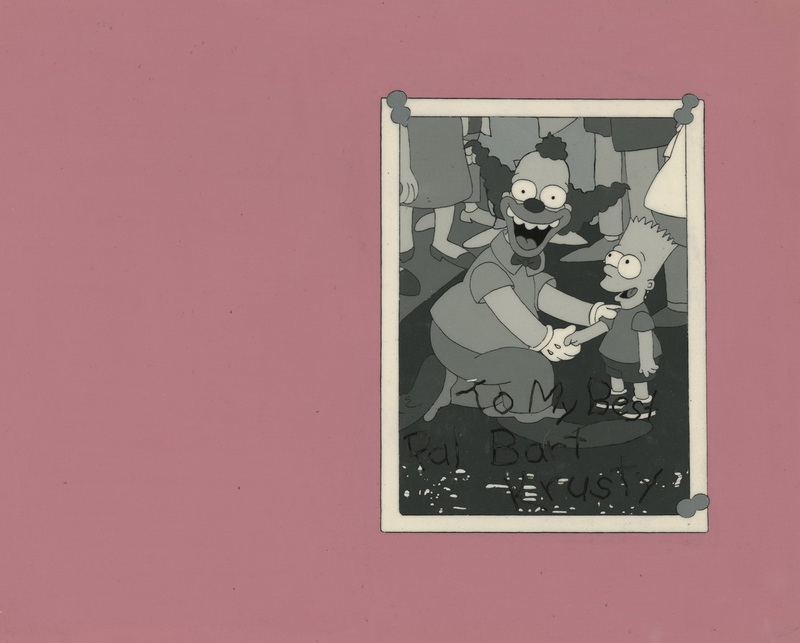 Krusty's signature on the cel is on a separate cel layer, likely due to the camera pull out that happens in the scene. There is a little paint damage on this extremely rare cel. 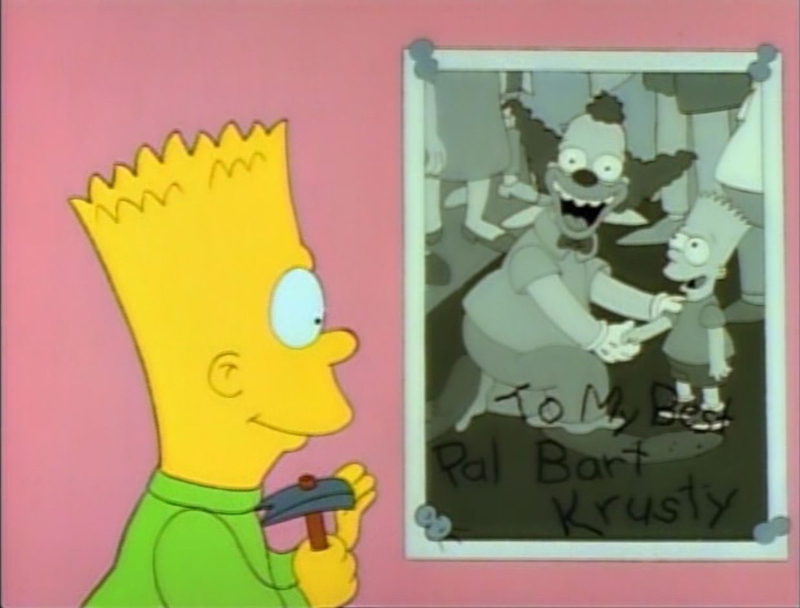 There is a little paint damage in the dark grey area of the photo (the ground that Bart and Krusty are standing on), with some areas where the paint has fallen off of the cel. The third image we're showing is a screen capture from the scene at the end of the episode that this cel was used to create, it is for reference, and not a phsyical part of the item.